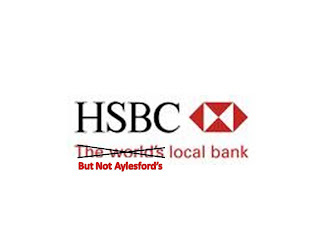 "As the prospective Conservative MP for Chatham & Aylesford and the local councillors representing the communities most affected, we are very disappointed to learn that HSBC has decided to close its Aylesford Village branch. life, an outcome that seems contrary to your big budget marketing campaign as the “local bank”. 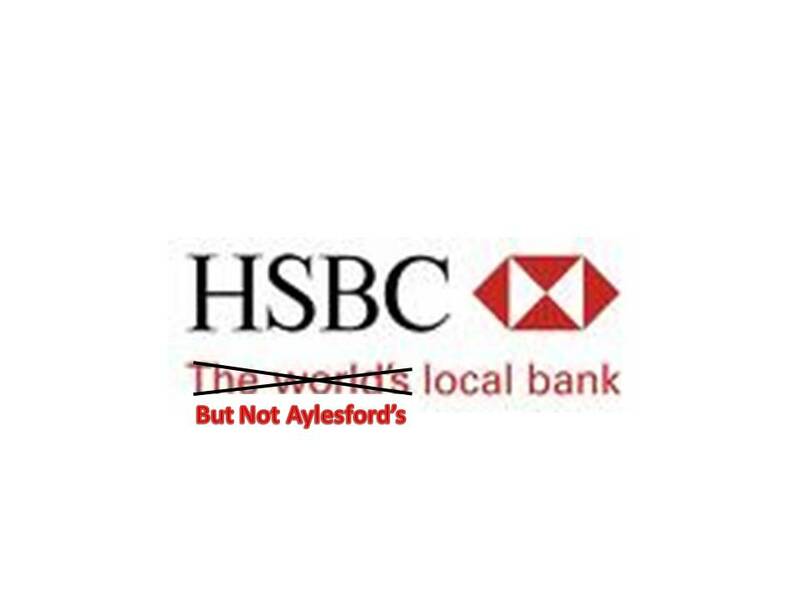 We therefore urge you to reconsider your decision to close the Aylesford Village branch as soon as possible so that residents and businesses can continue with their financial matters without disruption". I have been really impressed by two visits this week. The first was the Polypipe Terrain site in Larkfield. Polypipe are the only major plastic piping systems manufacturer that is British owned and based, with over two-thirds of its £280m turnover generated on home turf. In the UK, Polypipe has different divisions for each market and Polypipe Terrain recently won the above ground soil and waste plastic drainage on each of the five major Olympic projects. They have written orders for the Olympic Stadium, Velodrome and Athletes Village, a verbal order for the Aquatics Centre, and are firmly specified on the Media and International Broadcasting Centres, and expect written orders on these remaining projects. Amazing - and all made in the factory off New Hythe Lane! I got to see the process of a pipe being made from its constituent parts to being wrapped and ready for shipping. Plus I also got to see (and play in) the training centre where you can witness the piping system of a house. I found the near 2 hours I was on site fascinating and with conversation ranging from sustainability through to apprenticeships it was well worth it. The second visit was to St John Fisher School in Chatham. The school is sited in one of the most deprived wards in Europe and faces enormous challenges as a consequence. However, amongst the many people I met, I had a class with the School Council today. There were two reps from each year group and boy did they surprise me with their questions and knowledge of the big wide world. We talked about Afghanistan, immigration, education, prisons...all sorts. They were informed, opinionated and articulate - and not just the older students, these were the first and second year students too. I actually took a real shine to them and the chair and vice-chair were really cool kids who know already what they want from life. The absolute highlight of the day for me though was when one of the younger girls came up to me after and said "I think I might go into politics now" - it was meeting Michael Howard when I was at school that inspired me to get involved in politics; I don't know how to describe the warm feeling I have thinking I might have inspired someone from the next generation. Someone twittered yesterday why do candidates and activists always say they had a "good response". They went onto say "it can't always be true". 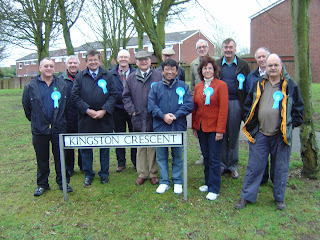 Well yesterday, despite the odd shower of rain, we had 3 teams out covering Ditton, Princes Park and Lordswood. 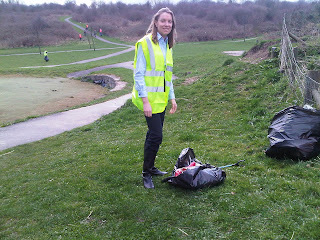 I was with the Ditton team in the morning and Princes Park in the afternoon. Between us we knocked on over 1000 properties in so called "traditional" Labour areas and yet we found only 24 Labour supporters compared to 150 brand new Conservative supporters and 120 further probable supporters. 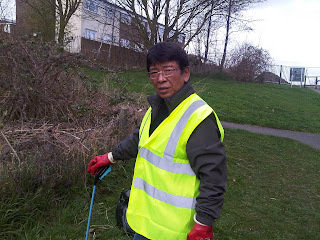 I think it would be fair to say that we had a "good response" and I myself was very pleased with the day's work. Hats off to the activist, who will remain anonymous, for the funny canvass story of the day. Said activist knocked on a door and a little boy, no more than 5 years old, opens door. Activist says is your mum or dad in to which he yells "muuuuuuuuuuuummmmmm" up the stairs. "What" comes the answer from upstairs. Activist pokes head in door and says "hello I am from the Conservative Party" to which response is "I am in the bath". Activist replies with "well would you like me to come up?" My thanks go to those who came from Tonbridge & Malling, Tunbridge Wells and London to help the Team. The postcard petitions against house building proposals in Capstone Valley have now stopped coming back to the office so I recently handed over thousands of cards to Medway Council Leader Rodney Chambers who in turn tabled them at last night's Council meeting. This remains a major concern of local residents around Chatham and it is still be talked about on the doorsteps when I go out canvassing. Hopefully this time the Government will listen to the views of local residents and stop this ridiculous plans going any further forward once and for all.